The content +1 may be how most people think of the button. It’s present either as a button on a web page or as a Chrome extension. In this scenario it seems easy to use the button as Google suggests; as a vote of confidence, as a way of saying that the content appeals to you and you want to give it some recognition. 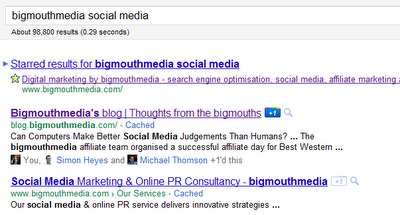 You can tap the +1 button while in the search results and before you examine any content. In this scenario the implied context is that you are +1ing a site in response to the search and in apparent recognition to the worthiness of the URL in relation to its position. You can also +1 PPC ads. Of course, it’s possible that some searchers will click through into the content and then back again in order to +1 the results. Some might call that a bounce. 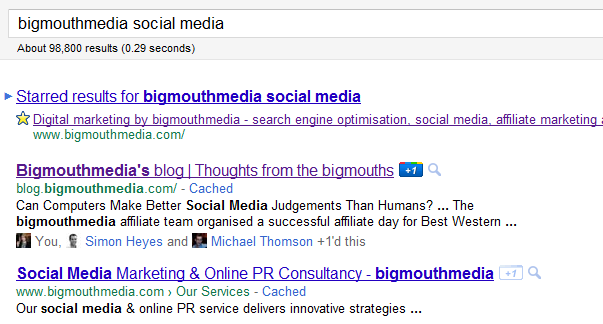 Google may even show PPC ads again, adding one more impression, when people ‘re-search’ like that. There’s no suggestion that people are doing this in volume and if the content +1 takes off then it seems unlikely this behaviour will ever develop but it is certainly one to watch. 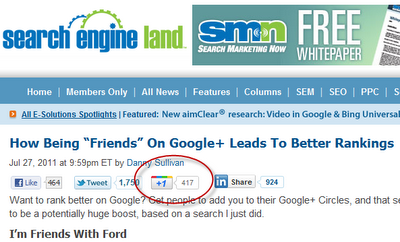 In Google+ users are able to share URLs, drawing attention to the site and encouraging traffic and reshares. It is also possible to +1 those shares. In this case it is not yet clear as to whether those +1s relate to the URL being shared or whether they relate to the share itself – perhaps encouraging the contribution to rise to the top of other Google+ users Streams. It may well be the case that the share +1 becomes a little unpopular; viewed as the +1 ranking signal that very nearly landed on content but was snatched away by Google+ at the last minute... perhaps not but certainly another one to watch. 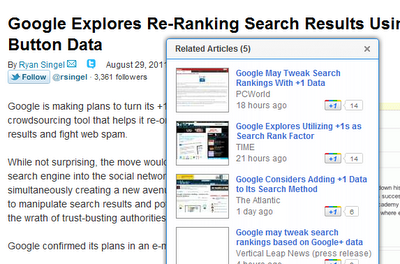 There are tools that help surface content and encourage users to +1 the suggestions then and there. 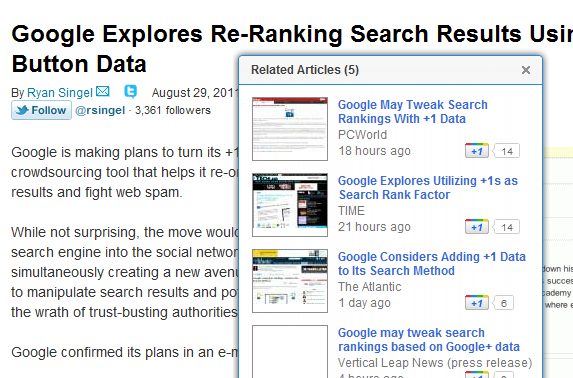 One example is Google’s own Google Related bottom bar. It suggests news, images and sometimes video based on the content a user is currently on and reveals the +1 data associated with it. In this scenario it seems almost certain that the +1 signal will be attributed to the suggested content but users are being asked, once again, to vote before they visit and study that content. As a result most users will +1 in the context of the recommendation rather than judging the content in isolation.